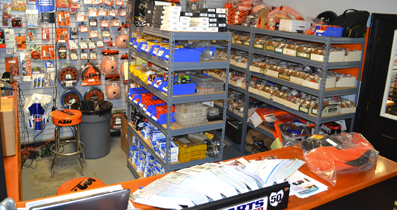 Here at Carolina KTM in Mooresville, North Carolina, we consider ourselves a one-stop shop. Not only can you purchase your bike here but we carry all necessory safety equipment (helmet, gloves, riding suits, etc.) 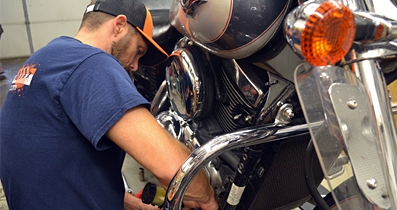 we also service our bikes in-house and provide you with factory OEM parts for your KTM. Extensive Parts Inventory and Experience Service Professionals with extremely reasonable rates.